As part of Nashville Food Bloggers, I was entered into a raffle for tickets to Tennessee Flavors... and as luck would have it, I won! So Dan and I turned last Thursday evening into date night, excited to taste some Tennessee-sourced food and drink. 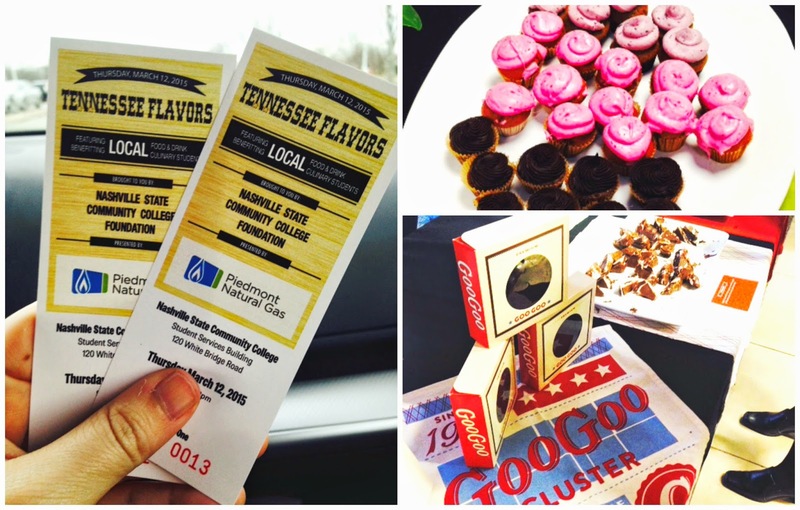 Tennessee Flavors is held at a local community college, and the event benefits the Randy Rayburn School of Culinary Arts as well as the Nashville State Foundation. There's a mix of food and drink here (check out the list of sponsors and participants), as well as a mix of local and wider-reaching chains... everything from the Aquarium restaurant at Opry Mills Mall and Goo Goo Clusters to local fare like Margot or Etch. I think it is a really great charity event and showing of local flavors. As a foodie, it's something to experience with that in mind. The space is tight and warm (we showed up early, per a friend's reco) as it's basically in classroom and hallway space. The crowd keeps moving, but it's kind of a challenge to enjoy something and make small talk at a booth before feeling the "wave" push you on to the next spot. At $50/ticket, I would say you should take advantage of the alcohol tasting to make it worth the expense... though remembering you're potentially supporting the culinary future of the area makes the price easier to manage. The food was presented in such a way that it was really portable and enjoyable! I tasted a lot of great things. I'd say my favorites were Puckett's, Red Pony (my wedding dinner will be there! ), Margot, Goo Goo Clusters (their new gourmet line is yum! ), Fido, and Padrino's Pops. I also got some Whisper Creek Tennessee Sipping Cream, and I think I like it better than Bailey's. Overall, this was a great showing for a great cause. 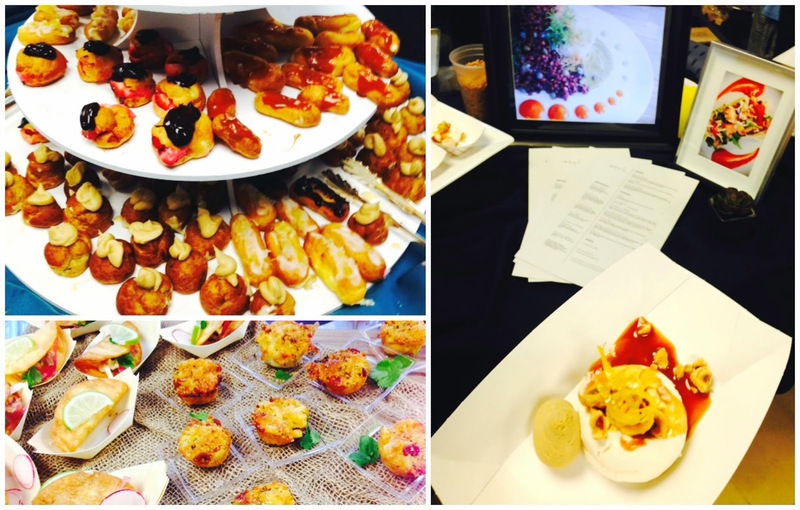 It was neat to meet some of the culinary students too, as they had some things (like the pastries in the photo above) on display for tasting. I'm glad that I got the opportunity to win tickets to go. Girl, everything tastes better to me when it's free! LOL It was tight quarters but had a lot of tasty food and beverage. I'm not sure if I'd splurge to attend some of the largest food fests in Nashville (some of them are hundreds of dollars for ONE ticket for the weekend) so this smaller event was kind of fun. Plus, the two tickets we received would have cost us $100 total, so #winning!